Food Tank is hosting its inaugural summit, titled “Growing the Food Movement,” on Nov. 14 in San Diego at the Illumina Theater. The event is co-sponsored by the Berry Good Food Foundation, the University of California's Division of Agriculture and Natural Resources, and the San Diego Bay Food and Wine Festival. More than 30 speakers and panelists from the food and agriculture world in the San Diego area and around the globe, including David Bronner, Ryland Engelhart, Jessica Greendeer, ANR's own Rachel Surls, UC Cooperative Extension sustainable food systems advisor in Los Angeles County, and Gabriele Youtsey, chief innovation officer, and many more are participating. Journalists Kirk Siegler from NPR and Mari Payton of NBC 7 will moderate the panel discussions between these diverse and engaging food leaders. "I'm excited to be on the "Farming for a Better Food System" panel, and hope to share how urban farm are strengthening local food systems,” Surls said. “They are often managed by nonprofit organizations with varied missions, from food justice to job training to youth development. It's exciting to see how these emerging projects around California and the U.S. get everyday Americans in cities and suburbs engaged with farming and food systems." 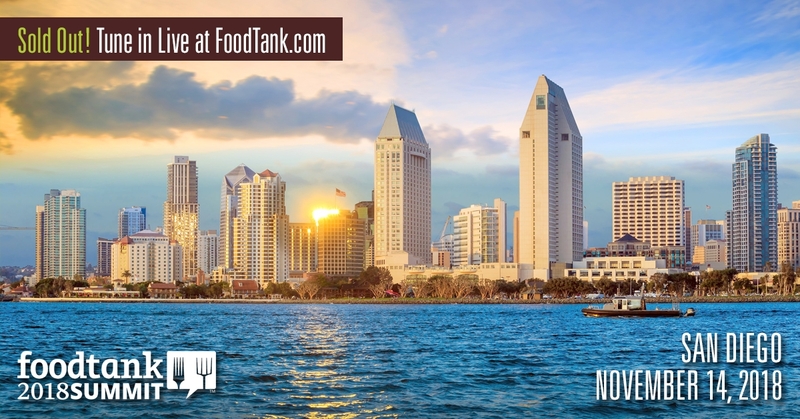 “One of the nation's largest concentrations of people are in Southern California, yet it's often left out of critical conversations about the food system,” said Rose Hayden-Smith, who worked behind the scenes to persuade Food Tank to hold a summit in Southern California. The varied topography and microclimates allow San Diego farmers to grow more than 200 different agricultural commodities from strawberries along the coast, to apples in the mountain areas, to palm trees in the desert. Tune into the FREE livestream on Food Tank's website and Facebook page and engage in the discussions on social media using #FoodTank. Hayden-Smith will be live-tweeting from the event for UC Food Observer. Here is a preview of the all-star speaker line up at the 2018 San Diego Summit to advance the conversation about growing the food movement. Alina Zolotareva is the Senior Marketing Manager and Product Champion at AeroFarms, the largest indoor vertical farm in the world, growing local, nutrient-dense, responsible leafy greens year-round. A natural communicator, connector, and problem-solver, Alina is passionate about driving transformational change and innovation in the realms of food, nutrition, public health, and urbanization as a registered dietitian nutritionist, marketer, and product developer. Candice Woo is the founding editor of Eater San Diego, a leading source for news about San Diego's restaurant and bar scene. Keep up with the latest Eater San Diego content via Facebook or Twitter, and sign up for Eater San Diego's newsletter here. David Bronner is the Cosmic Engagement Officer (CEO) of Dr. Bronner's, the top-selling brand of natural soaps in North America and producer of a range of organic body care and food products. He is the grandson of the company's founder, Emanuel Bronner, and a fifth-generation soapmaker. David is an activist, philanthropist, and ardent supporter of fair trade, animal rights, drug policy reform, and regenerative organic agriculture among other issues. Evelyn Rangel-Medina is Chief of Staff for Restaurant Opportunities Centers (ROC) United, whose mission is to improve wages and working conditions for the nation's low wage restaurant workforce. An experienced manager, public interest lawyer, public policy advocate, and campaign director, she has worked with a broad range of nonprofit organizations to advance lasting social change. At ROC-United, she manages two worker centers that organize hundreds of immigrant low-wage workers of color to advocate for higher labor standards and dignified working conditions. 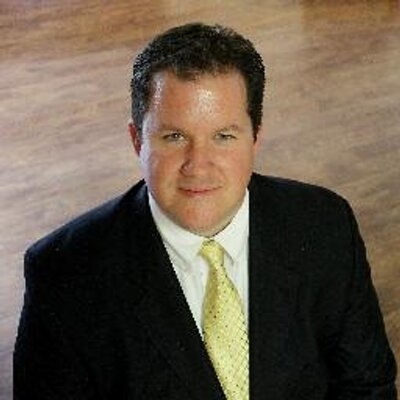 Gabe Youtsey is the Chief Innovation Officer at University of California, Agriculture and Natural Resources (UC ANR), providing leadership to UC ANR's information technology unit to support programmatic, educational, administrative, and marketing-oriented projects. He has been active for many years in EDUCAUSE and Internet2 and speaks regularly on cloud computing, big data, collaboration technologies, the role of technology in academia, and cyber-security. Heather Lake of Fox 5 San Diego has covered some of the city's largest events including Comic-Con and opening day at the Del Mar Races. Before heading to the West Coast, Heather was an anchor, reporter, and bureau chief at WCTI in Jacksonville, North Carolina, working closely with the military community at Camp Lejeune. Many of her most memorable assignments include working alongside Hope for The Warriors as the nonprofit granted “warrior wishes” to many of our service men and women. Jeff “Trip” Tripician joined Niman Ranch in 2006 and has grown the brand to a national industry leader by expanding distribution channels and geographies as General Manager. Under his direction, the company has more than tripled in size while maintaining its core values and mission of raising livestock traditionally, humanely, and sustainably. He is passionate about helping the family farmer thrive in rural communities. Jennifer Burney is an Associate Professor at the School of Global Policy & Strategy at UC San Diego. As an environmental scientist, her research focuses on simultaneously achieving global food security and mitigating climate change. She designs, implements, and evaluates technologies for poverty alleviation and agricultural adaptation, and studies the links between “energy poverty”—the lack of access to modern energy services—and food or nutrition security, the mechanisms by which energy services can help alleviate poverty, the environmental impacts of food production and consumption, and climate impacts on agriculture. Jenny Ramirez is the Human Resources Director for California Harvesters Inc., an employee trust farm labor company in Bakersfield, California. 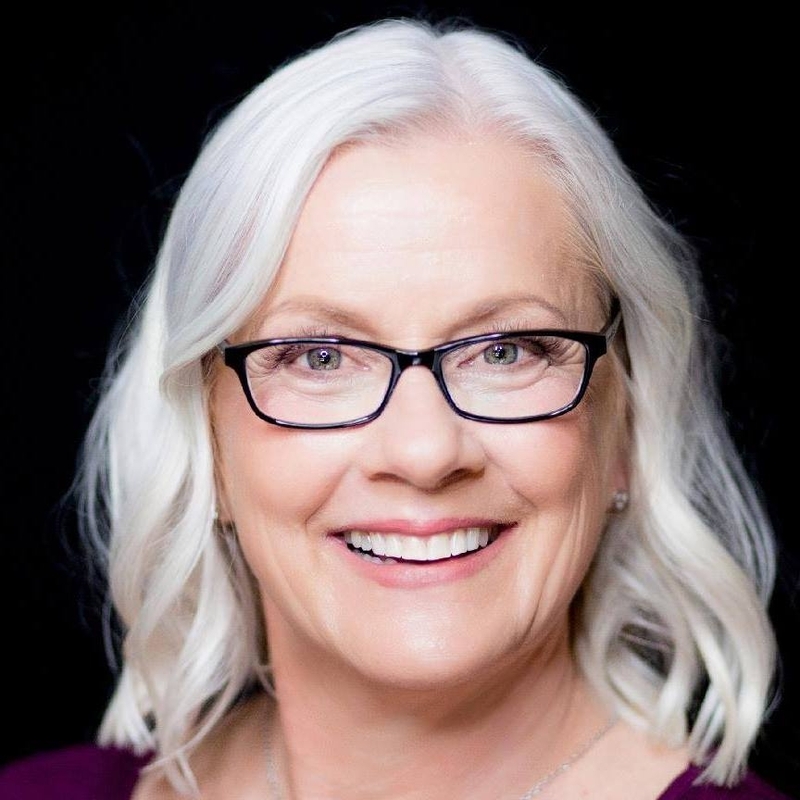 Early in her business career she identified that the best way she could support workers was to be directly involved with setting policies and procedures, a role that she is reinventing at California Harvesters. Bringing over a decade of experience in California agriculture, she is passionate about using her position and training to improve working conditions for farm workers. Jessika Greendeer is the founder of Waxopini Wiiwamasja, which is Ho-Chunk for “nourishing spirits.” She is responsible for stewarding Indigenous seeds, teaching others how to grow and preserve Ancestral foods, protecting her traditional foods and carrying out her vision of feeding her people. Jessika is a US Army veteran, who completed a Veteran-to-Farmer training program in Pennsylvania with Delaware Valley University and the Rodale Institute. She has brought her knowledge of organic farming back to her community by growing out ancestral landrace varieties and market vegetables within the Ho-Chunk Nation community gardens, working to heal and regenerate the earth throughout her ancestral homeland of Southern Wisconsin. Josh Henretig is a Senior Director for Microsoft and is responsible for leading the Artificial Intelligence for Earth and Corporate Sustainability programs for the company. Over the years, Josh has contributed to all aspects of Microsoft's environmental strategy, from implementing responsible business practices that have led to the company's commitment to become carbon neutral and to be powered by 100% renewable energy through an internal price on carbon, to projects and programs that advance social opportunity and environmental sustainability in the communities. Karen Archipley owns and operates a USDA certified HydroOrganic farming enterprise, headquartered in Escondido, California.The Archipley's founded Archi's Acres, Inc. in 2006 with two core objectives: to create a viable, sustainable, organic-produce farming business and develop a business that would provide entrepreneur opportunities for veterans in sustainable organic agriculture, bringing to light the many issues that veterans face when they leave the military and choose farming as a career. Keith Maddox is the Executive Secretary Treasurer at the San Diego and Imperial Counties Labor Council and the 134 unions it brings together. The San Diego and Imperial Counties Labor Council is the local central body affiliate of the AFL-CIO, founded in 1891. The Labor Council offers an avenue for local unions to come together as a unified group, with a membership of more than 250,000 local working families. Kirk Siegler of National Public Radio (NPR) covers the urban-rural divide in America, exploring the intersection between urban and rural life, culture, and politics. Based at NPR West's studios in Culver City, CA, but frequently roaming the country, Kirk's reporting has also focused on the far-reaching economic impacts of the drought in the West while explaining the broader, national significance to many of the region's complex and bitter disputes around land use. His assignments have brought listeners to the heart of anti-government standoffs in Oregon and Nevada, including a rare interview with recalcitrant rancher Cliven Bundy in 2014. Lorena Gonzalez Fletcher is Assemblywoman for District 80, California State Assembly, elected in May of 2013 to fight for California's working and middle classes. In 2015, The Atlantic Magazine labeled her “The California Democrat setting the National Agenda” for her practical, progressive legislation aimed at alleviating real issues in people's lives. Lorena is the first Latina in California history to chair the Assembly Appropriations Committee. She is also Chairwoman of the Select Committee on Women in the Workplace and Vice Chair of the Latino Caucus. Maria Hesse is the Managing Editor for Edible San Diego, a food and lifestyle designer, pug photographer at PugsMutt.com, and co-author of The Intentionalist Cooks! You can find her at MariaHesse.life or get in touch at maria@ediblesandiego.com. Mannah Gbeh owns and runs Bee Valley Farm. He is skilled in horticulture and agriculture, seasoned in public education and tours, and passionate about eradicating hunger in the world. As a young boy growing up in Liberia West Africa, agriculture was the way of life for Mannah. In 2007, he was Honorably Discharged from the United States Navy after serving seven years and doing three tours in the Middle East. In 2010, he started the Nursery Technology program at Cuyamaca College. Mari Payton of NBC 7 is a senior investigative reporter leading the award-winning NBC 7 I-Team. Mari's stories have prompted local, state, and federal investigations and caused law and policy changes. She's reported breaking news live on the TODAY show, MSNBC, and other NBC stations across the country. She's also received numerous awards from the Society of Professional Journalists and Press Club. Michael Gardiner is a food writer for San Diego CityBeat and a licensed California attorney. In addition to San Diego CityBeat, he is the monthly food columnist for L'Chaim San Diego Magazine and the primary writer for the San Diego Food & Travel Blog, www.sdfoodtravel.com. Michael Hamm is Senior Fellow at the Center for Regional Food Systems at Michigan State University. Michael founded the C.S. Mott Group for Sustainable Agriculture in 2003 and was founding director of the MSU Center for Regional Food Systems from 2011-2015. Michael is affiliated with the departments of community sustainability; plant, soil and microbial sciences; and food science and human nutrition. Community food security and community, regional, and sustainable food systems are research interest areas. Michelle Lerach is a lawyer, entrepreneur, activist, and President of the Berry Good Food Foundation. In 2008, she received the Consumer Attorneys of California Women's Law Caucus Outstanding Consumer Advocate Award before leaving the practice to commit herself fully to social activism. An “agvocate” for sustainable food, she founded Berry Good Night and Berry Good Food Foundation to advance a healthy, integrated food system by educating, connecting, and supporting food producers and consumers. An outspoken critic of current GMO labeling policy, she serves on the steering committee of Californians for GE Labeling. Michelle Parente is the Dining, Wine + Lifestyle reporter for The San Diego Union-Tribune. Her areas of expertise include the Valle de Guadalupe wine region, fashion, television, women's issues, and coverage of aging, such as the impact of Alzheimer's and dementia and family caregiving. A native New Yorker, Michelle received her B.A. in political science and Italian Literature at UC Berkeley. In 1980, she studied at L'Università di Urbino, in Italy. One of her life's goals is to make her way through each of the world's great wine regions. Nate Looney is an urban farmer, army veteran, entrepreneur, and owner of Westside Urban Gardens. Founded in 2015, Westside Urban Gardens is an urban agricultural startup, using controlled environment techniques to cultivate gourmet leafy greens and microgreens. These crops are Homegrown By Heroes. A graduate of the Veterans to Farmers Controlled Environment Course, Nate also completed a Farmer Veteran Coalition internship, funded by The San Francisco Foundation at Ouroboros Aquaponic Farms in Half Moon Bay, CA. Neil Nagata is the President of the San Diego County Farm Bureau and Nagata Bros Farms, a third generation Oceanside farmer with over 30 years' experience in fresh fruit, vegetable, and strawberry substrate/hydroponic production and research. He has worked with regulators and legislators to support fruit and vegetable production in the United States and internationally. As the founding president of the non-profit California Strawberry Growers Scholarship Fund, he has helped provide scholarships for children of California strawberry farm workers, raising over US $2 million. 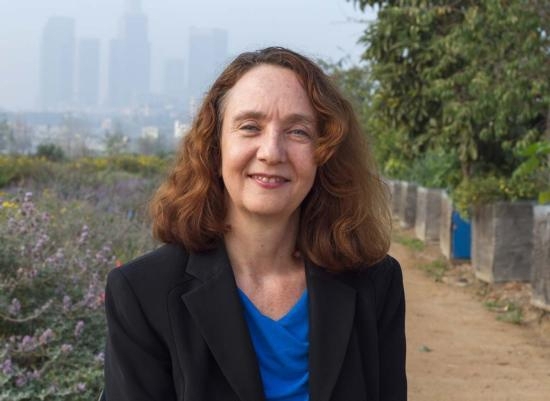 Rachel Surls is the Sustainable Food Systems Advisor for University of California Cooperative Extension Los Angeles County. Involved in a variety of projects related to urban food systems, she has worked with UCLA students to conduct the “Cultivate LA” survey of urban agriculture in Los Angeles. She recently led a UC ANR team that carried out a statewide needs assessment of urban farming. Rachel and a co-author recently published a book on the local history of urban agriculture, titled From Cows to Concrete: The Rise and Fall of Farming in Los Angeles. Ryland Engelhart is the Mission Fulfillment Officer and co-owner at Cafe Gratitude and Gracias Madre, as well as Co-Founder of Kiss the Ground, educating and advocating about the connection between soil, human, and planetary health. He is also a co-creator of the award-winning, transformational documentary film, “May I Be Frank.” He is an entrepreneur and activist, using his restaurants as a platform to inspire more gratitude in our culture. He speaks on sacred commerce, tools for building community, and regeneration. Sarah Mesnick is an Ecologist, Southwest Fisheries Science Center, NOAA Fisheries, and Adjunct Professor, Scripps Institution of Oceanography, UC San Diego. Focused on social evolution in the ocean and on the role of social behavior in explaining patterns of species diversity, the main goal of her research in recent years is to provide a social framework within which to investigate stock identity, population trends, and fishery interactions in cetaceans. She serves as liaison between CMBC and NOAA SWFSC and leads the Sustainable Local Fisheries project. Stepheni Norton is the owner of Dickinson Farms, a retired Chief Petty Officer and decorated military Veteran, with over 20 years of entrepreneurial experience. Stepheni's farming journey began after purchasing the Dickinson homestead, subsequently deploying and falling ill. After almost three years of misdiagnosis, she was properly diagnosed with stage 3 Lyme Disease, and promptly started daily IV treatment. Designing a farm layout and business plan from the IV chair, she successfully built the first and only licensed farm in National City—an heirloom fruit, vegetable, and herb farm. Norton contributes her free time to help aspiring and small business owners build and grow their businesses. Vince Hall is the CEO of Feeding San Diego, with extensive nonprofit and public sector management experience, including serving as Staff Director for Governor Gray Davis. He also served as a lecturer at San Diego State University and his previous community involvement included serving on the San Diego Community College District Trustee Advisory Council, the San Diego Unified School District Citizen Bond Oversight Committee, and the boards of the National Conflict Resolution Center, San Diego Regional Technology Alliance, and the San Diego Diplomacy Council.